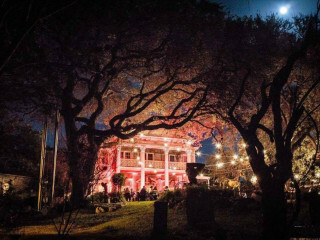 Witness a team of friendly experienced ghost hunters investigating one of the most striking haunted locations in San Antonio, the Black Swan Inn. Featured on numerous TV shows, including Travel Channel's Ghost Adventures, the Black Swan Inn has quickly become one of the most sought after haunted locations in America. This is a campout event which will also feature card readings, food trucks, drinks and snacks, and a continental breakfast in the morning.